Can The Celtics Be The Next Warriors? After winning back-to-back NBA Titles, the Golden State Warriors have a clear target on their back this NBA season. Are the Boston Celtics the team that has the talent and coaching to finally take away their crown? We think so, and we also think the Celtics have what it takes to start a great dynasty of their own. The facts are simple. Stephen Curry, Klay Thompson, Kevin Durant, and Draymond Green are all reaching the back ends of their peak years. The Celtics up and coming stars are just entering theirs. Kyrie Irving is 26-years-old. Gordon Hayward is 28-years-old. Marcus Smart is 24-years-old. And Jaylen Brown is 21-years-old. More importantly, the Celtics get Hayward back this season after losing him minutes into the 2017-18 campaign. Without him, they were title contenders. With him, they’re the next best team after the Warriors. If everything goes right for them, they might even be the best team. Some analysts, like Stephen A Smith, already think they are. 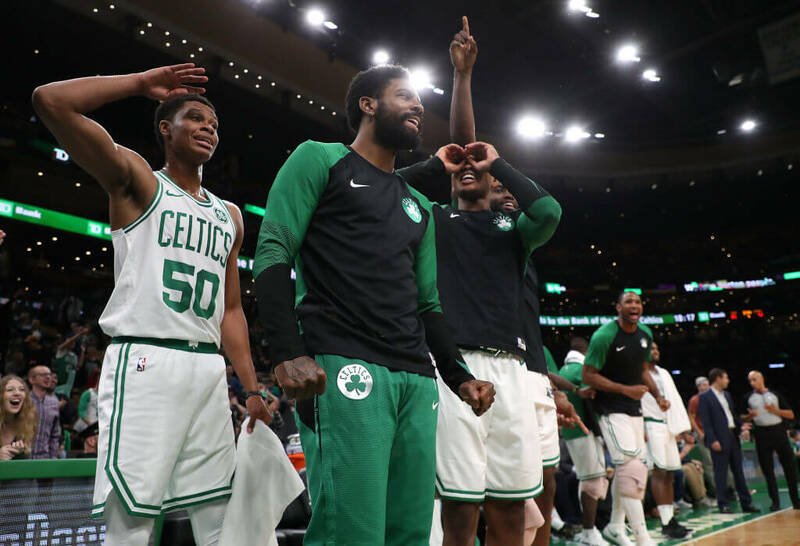 On his morning debate show, Smith recently said that if the Celtics can take the Warriors to Game Seven of the NBA Finals and play it on their home court on the east coast, they can win. That seems like a lot to ask Boston, a team that hasn’t been to the NBA Finals in nearly a decade. Never count out a franchise who once set a record by winning eight straight NBA Titles, though.